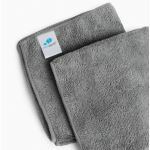 Below you will find links to company and product information for manufacturers and suppliers in Sweets matching the term Manufacturer-IdeaPaint. This page is designed to meet the needs of architects and design professionals who are researching, comparing, selecting and specifying products. 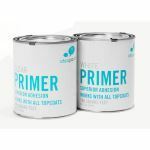 Below you will find links to product information for manufacturers and suppliers matching the term Manufacturer-IdeaPaint. Each product presentation is designed for the construction industry professional and displayed in a consistent manner. Content categories include: project galleries, specifications, BIM objects, CAD details, 3D Models, product catalogs and green product information. Note to Building Product Manufacturers: Our goal is to include all manufacturers who are providing building product information in Sweets. If your company is missing or you have noticed a mistake in one of the listings, please contact us us today. Sweets is meant to be the most comprehensive and useful tool for finding building products information. Your feedback will help to ensure that design professionals obtain the information they need in the most useful form and help building product manufacturers to improve their content. 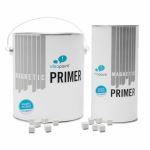 Description: A breakthrough magnetic solution, IdeaPaint™ Magnetic Primer delivers up to 2x the magnetic strength of other liquid solutions on the market. 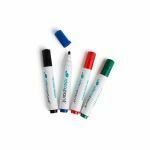 Description: Recommended products to maintain a high performance dry erase surface - keep your cleaning supplies well stocked, so you can regularly care for your walls. 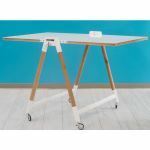 Description: Keep your supplies where you use them most-on your IdeaPaint wall, your desk, or your mobile dry erase board. Description: For work, school or home, IdeaPaint CREATE White provides a high-performance dry erase surface that erases cleanly every time. 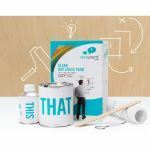 Description: From the leader in dry erase collaboration solutions, IdeaPaint now offers IdeaPaint WRITE, a dry erase wallcovering. 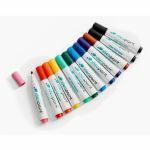 Description: Stock up your supply closet Fill up your supply closet with these write & erase essentials. 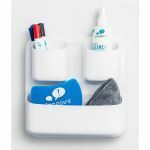 Description: Modular, magnetic, wall-mounted system that organizes office clutter, and provides a home for your dry erase supplies-supplies included! 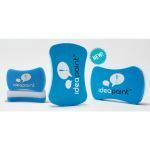 Description: IdeaPaint Cleaning Cloths are engineered for superior dry erase cleaning without the risk of scratching surfaces. 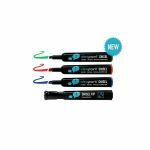 Description: Start up your IdeaPaint walls with the supplies you need to get going. 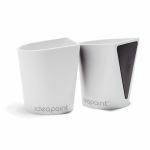 Description: IdeaPaint Foam Erasers are engineered for superior dry erase cleaning without the risk of scratching surfaces. 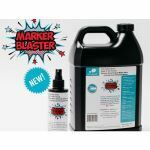 Description: IdeaPaint Marker Blaster is perfect for all those hard cleaning jobs when standard IdeaPaint Dry Erase Cleaner Spray or soap and water just won't get it clean.